Wild foods are bursting forth in northern MN! Coined as the supermarket of the wild, cattails provide an astounding 5 different edible parts. 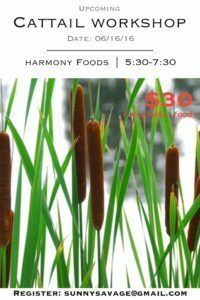 Excited to share my love of cattails with workshop attendees next Thursday at Harmony Foods Coop in Bemidji, MN. Delicious and nutritious, we’ll be processing and preparing them into a few different dishes. Come eat, come learn, and feel connected to the wild! I would like to join your cattail event at Harmony Foods in Bemidji. Sunny, I would have never guessed cat tails would become such a wonderfully tasty meal! 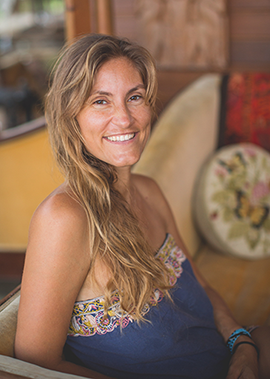 Thank you for sharing with us the ethical thought process of foraging as well. And, I have not yet mentioned the tea or spectacular rose elixir, which were alone worthy of an event. Lifelong skills gained all in a fun class with great food! Love the work you are doing, teaching us all to adapt, use what is available and nutritional.